Beston Machinery is one of the best global waste tyre recycling plant suppliers. 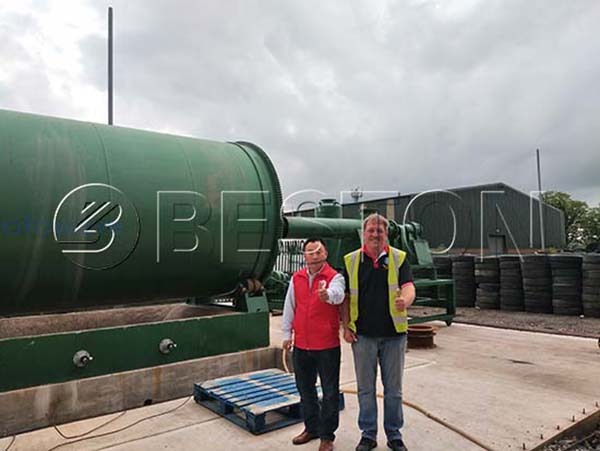 Founded in 2013, Beston scrap tyre recycling plants have been successfully installed and operated in more than 20 countries on six continents, including South Africa, the UK, Australia, Malaysia, Nigeria, etc. In these years, Beston has offered customers a wide variety of products, full services and technical expertise helping them succeed immediately, and in the long run. Whatever your goals are, we will provide you with the most suitable solution. Welcome to contact us! As one of the competent waste tyre recycling plant suppliers, Beston Machinery produces the best machines in the industry. We can provide you with the superior and complete waste tire recycling system. Those machines are produced with the best material and technology available. Now let’s have a review of the main scrap tire recycling equipment. 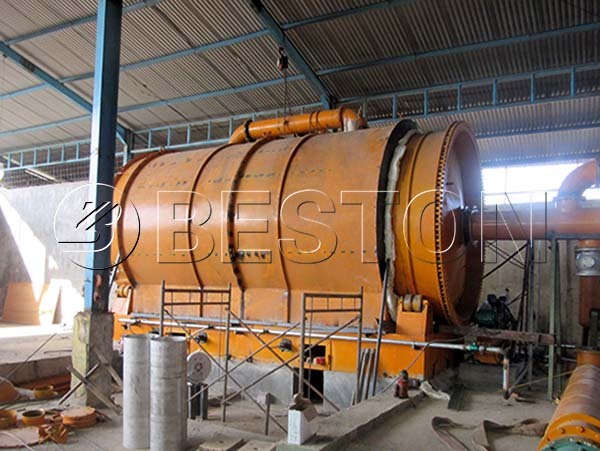 Waste tire pyrolysis machine is the most important section of a tyre recycling plant, as well as the focus of waste tyre recycling plant suppliers. Beston has 4 different models for sale, whose daily capacity ranges from 6 to 24 tons. 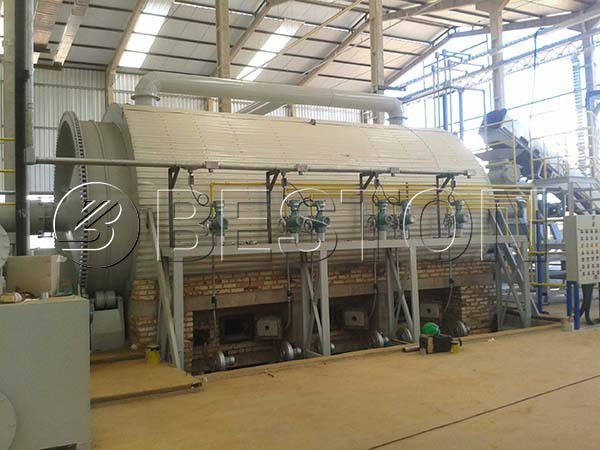 They are batch waste tyre pyrolysis machines, BLJ-6 and BLJ-10, BLJ-16 semi-continuous pyrolysis machine, and fully continuous tyre pyrolysis plant, BLL-20. Here are some of our successful cases and parameters. 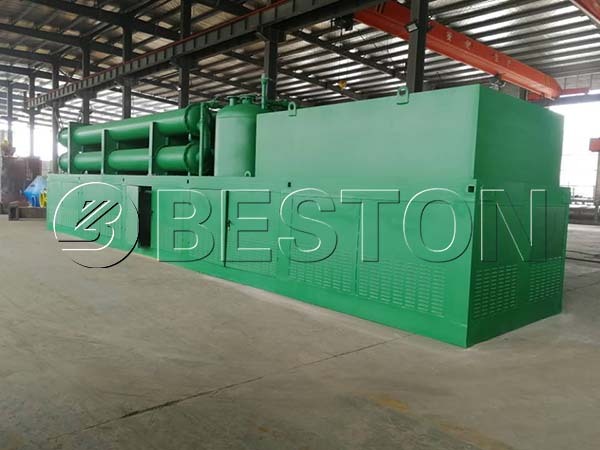 Beston is one of the qualified waste tyre recycling plant suppliers in China, which always provides the customers with a reasonable tire recycling machine price. 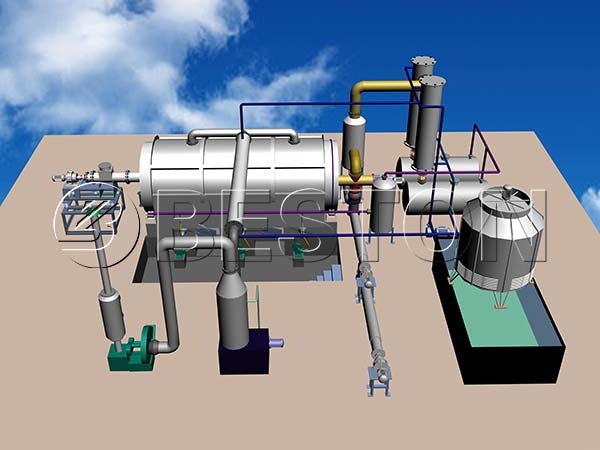 Except for the low pyrolysis machine cost, a batch plant also requires smaller space, less consumption, etc. For example, there is no need for pre-treatment devices. As for a batch plant, the entire old tires can be put into the reactor directly and manually. That is to say, you can save much money on equipment if you can have low labor costs. It takes about 3-4 hours for the rector to cool down before the second batch. Thus, the labor intensity is acceptable. Meanwhile, it is also good to maintain the waste pyrolysis machine. In comparison with waste tyre recycling plant suppliers, Beston pays more attention to the safety of workers and environmental protection. For instance, we have equipped a professional thermometer and pressure gauge to inspect temperature and pressure at any time. Besides, there is a casing out of the rector made with special material to protect workers from high temperature. Meanwhile, there is a hydroseal to remove the sulfur and impurities in the exhaust gases while recycling the combustible gas as fuel. We have adopted the latest direct and indirect heating method to prolong the service life of the reactor for 5-8 years. 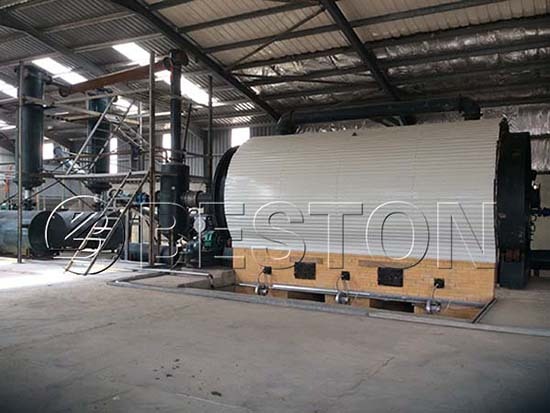 Just like many waste tyre recycling plant suppliers, Beston has developed semi-continuous pyrolysis plants on the basis of batch operating plants. The BLL-16 plant can work 3-4 shifts each day. Although the reactor also needs to cool down during two shifts, it takes only one hour. Meanwhile, there is a pre-treatment system to crush the scrap tires into small pieces, which can greatly improve the working efficiency and output with less time. Compared to fully continuous pyrolysis plants, the semi ones are much cheaper. While the output is suitable for many situations. 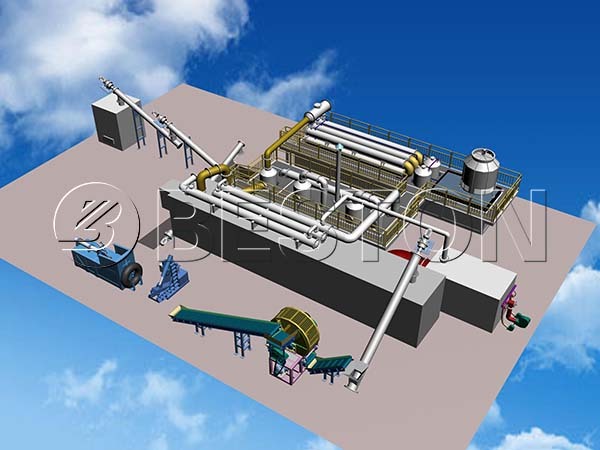 Together with the wide application of Beston waste recycling plant, such as waste plastic, rubber, oil sludge, etc., semi-continuous BLL-16 is one of our best-selling products. The feeding of raw materials and discharging of slags are both automatic, which can greatly save manpower and costs. The data from our customers demonstrate that our heat preservation system can save about 40% energy. This patent technology makes Beston Machinery become more popular among many waste tyre recycling plant suppliers around the world. Fully continuous waste tyre pyrolysis plants will be an irresistible trend of the waste recycling industry. It is also the goal of all waste tyre recycling plant suppliers. The best-selling tyre to oil plant can recycle 30 tons of waste tires. With continuous feeding and discharge system, the continuous waste tyre pyrolysis plant can keep working without a stop to save energy and time, as well as the labour cost. While it can process at least 30 tons of waste tires per day. The reactor of our automatic pyrolysis plant is stable and not rotary, which heat up and react quickly. This special design makes the whole pyrolysis process more efficient. 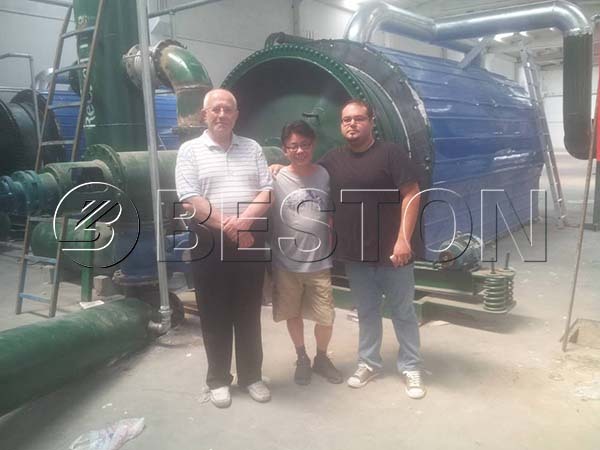 With the patent design, Beston is praised as a model among numerous waste tyre recycling plant suppliers. Our continuous waste tyre pyrolysis plant adopts multiple reactor design which can make fully pyrolysis of waste tires to get high oil output. Moreover, we also employ an innovative condenser which has a larger cooling area and better cooling effect so that the oil yield efficiency can be improved by 5%. Beston has started on waste recycling industry. That’s why we have a wide range of professional waste recycling products. 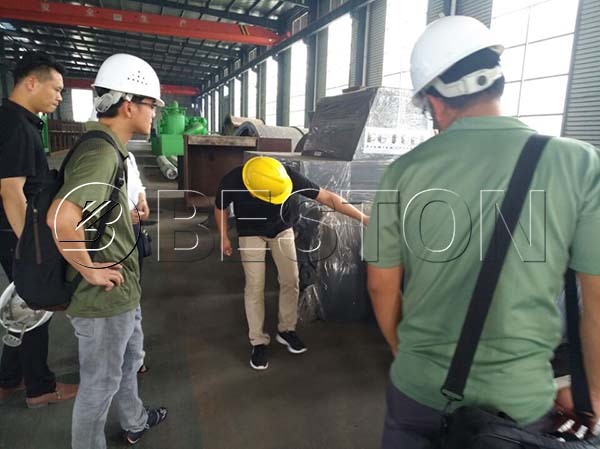 Our products cover solid waste treatment plant, biomass carbonization plant, as well as waste pyrolysis plant for used tires, rubber, plastics, etc. On this basis, we have touched the most advanced waste recycling technology. In terms of the old tire recycling plant, we also employ an advanced dedusting system to remove 95% of the dust of exhaust gases. Besides, there is also a system to recycle and process wastewater. As a result, the whole working process is free of pollution. In order to reduce the damage to the reactor, we use both direct and indirect hot air heating system during the continuous pyrolysis process. And since the hard steel wire will be removed before the pyrolysis process, there is no damage to the reactor. 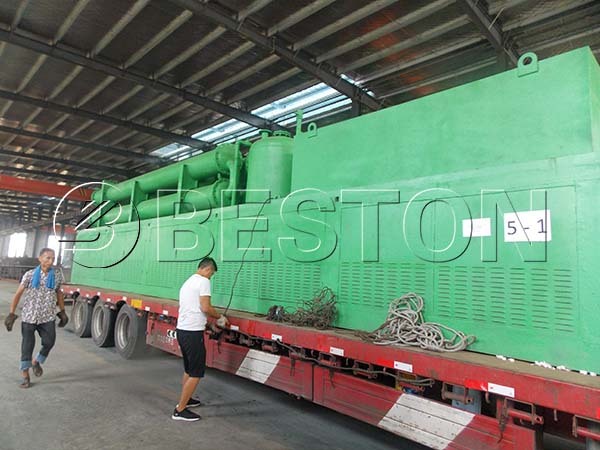 More importantly, Beston can successfully avoid the reactor being burnt during the pyrolysis process, which will lengthen the lifespan of the main reactor for extra 2-3 years. The service life of our continuous waste tyre pyrolysis plants can reach as long as 8 years, which will save money for maintaining and updating. 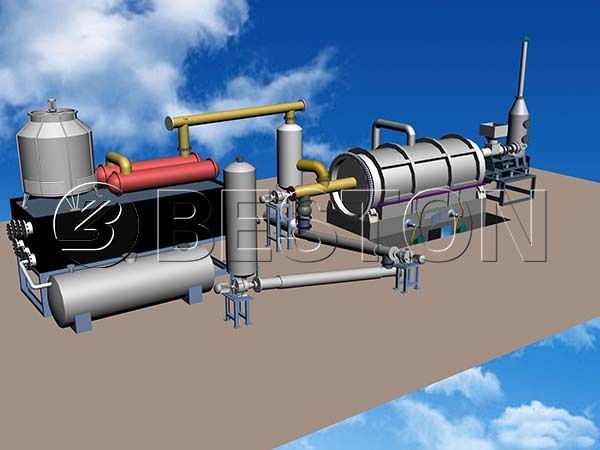 That’s why Beston can be a model for the numerous tyre pyrolysis plant manufacturers. Here is a video effectively simulating the whole working process of Beston fully continuous waste tyre pyrolysis plant. 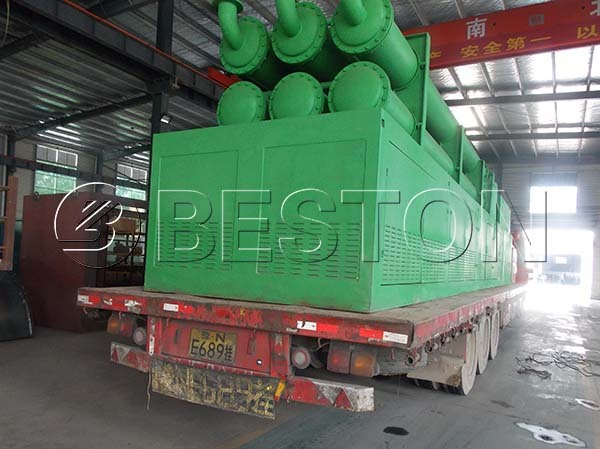 Why Beston Is One of the Best Waste Tyre Recycling Plant Suppliers? Of course, the stability of a waste pyrolysis machine is the basis of all great waste tyre recycling plant suppliers. Beston Group keeps working all the time to improve the performance of our machines. In addition, we can also offer you the waste tire recycling plant design all the way through to equipment acquisition, installation and project management. Our experienced design team will work directly with you to customize your waste recycling system according to your real conditions and particular needs. Our engineers are available to serve you at any time. Meanwhile, our after-sales team will have periodical and nonscheduled call visit to make sure the normal running of the equipment. Moreover, we will design a specific maintenance program according to the different situations of your waste recycling plant. There will be a specialist fro specifically responsible for each set of waste tyre pyrolysis system. At least one technician will be sent to guide your installation, test the machine and train your workers. Besides, we will provide one month’s service for free. Beston Group aims to be one of the best global waste tyre recycling plant suppliers. Except for rich manufacturing experience, we also have years of experience in exporting. Thus, we are confident to provide you with both professional and accessible service all the time. Welcome to contact us now!